Despite heavy losses, remnants of the LSSAH would go on to fight in the Ardennes campaign, the defense of Vienna, and the Battle of Berlin. The 75th anniversary of the Allied D-day Invasion of Normandy is quickly approaching. We will likely be seeing a great many new and recycled stories of the heroics of the Allied units during the invasion, and rightly so. To provide some balance and perhaps some insight into what the Allies were up against, here are three of the German units that were tasked with throwing the invasion back into the English Channel once Operation Overlord had begun. 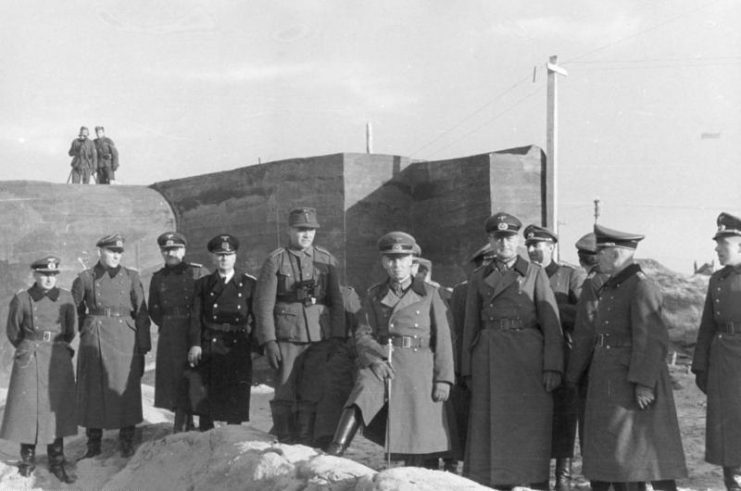 Field Marshall Rommel was assigned command of the “Atlantic Wall” in order to prevent successful landings by Allied forces on the European continent from the West. 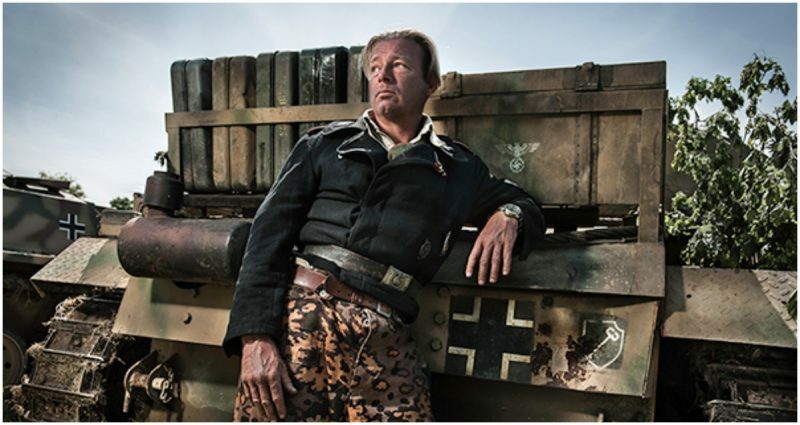 The question for Rommel was never “if” the invasion would come, but rather where the Allies would focus their assault. The German defense of the coast was well prepared, and Rommel had two German armies, the 15th and 7th, with which to repel or counterattack Allied assaults. Due to a brilliant campaign of misinformation by the Allies, the 15th Army remained largely out of the fighting for the first eight weeks of the campaign while awaiting an expected invasion by U.S. General Patton north of the actual landings. A total of 59 German divisions of varying operational abilities were deployed for the defense of Western Europe. The vast majority would eventually see action against the invasion of Europe. This list concentrates on some of the “elite” German units that saw action against Allied forces early on in the campaign, but it is far from being exhaustive as there were many Axis units both good and bad in the early days of Operation Overlord. The 101st Heavy SS Panzer Battalion was part of the 1st SS Panzer Division and was made up of 45 Tiger I tanks at the time of the Normandy invasion. All but eight of these Tigers were operational and stationed northwest of Paris. The battalion had been deployed in Italy the previous year until two of its companies were sent to the Eastern Front where they saw action. In preparation for the expected invasion in the West, the entire unit was sent to France. The battalion was battle-tested, competently led, and outfitted with some of the best armor of the war. Following the D-day landings, the 101st was sent to Normandy. It arrived on the 12th of March and saw immediate action against Allied forces. Famed tank commander Michael Wittmann personally led an attack on a column from the 7th British Armored. Although Wittmann’s company was already at only 50% strength due to losses and mechanical failure, his company of 12 Tigers was set to repel any advance at Villers-Bocage on June 12th. 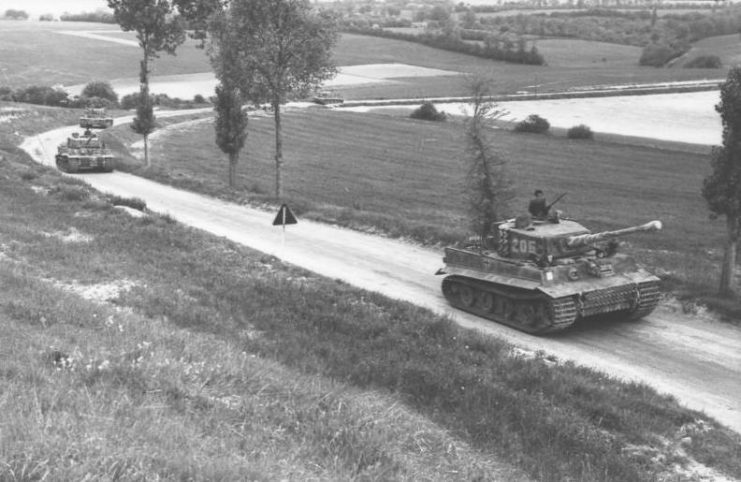 Seizing the initiative, Wittmann’s Tiger attacked the advancing British armor from the rear while ordering the rest of his company to stand their ground. Reports vary, but the 101st Battalion destroyed 13 to 14 tanks, over a dozen armored troops carriers, and two anti-tank guns. Most of the kills were attributed to Wittmann. His Tiger was immobilized by an anti-tank gun, but he managed to escape. 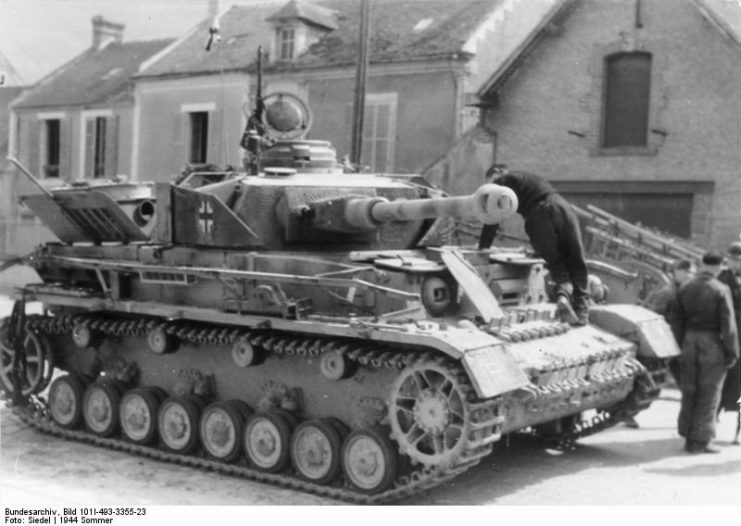 The 101st would later suffer significant losses when a group of seven Tigers under Wittmann’s command was ambushed by British and Canadian forces during a counterattack at Saint-Aignan-de-Cramesnil on August 8th. Wittmann and his crew were killed, and five of the seven Tigers were destroyed. 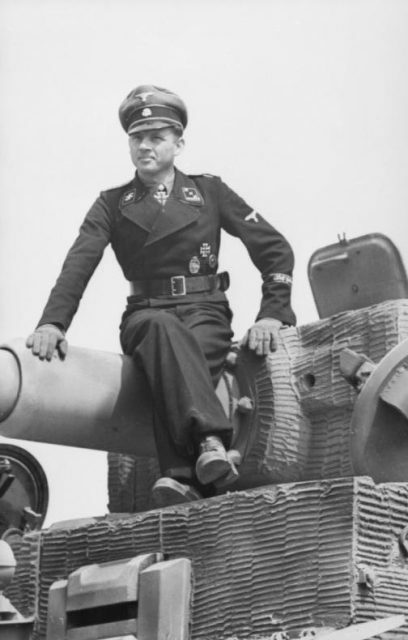 At the time of his death, Wittmann had been credited with over 130 tank kills. Virtually all of the remnants of the 101st Heavy SS Panzer were destroyed or captured in the Falaise Pocket in the next several weeks. Those that escaped the encirclement were redesignated into the 501st Heavy Panzer SS Battalion in September. Photograph of the wrecked Tiger 007, taken by French civilian Serge Varin in 1945, still in the field near Gaumesnil where it had been stopped a year before. 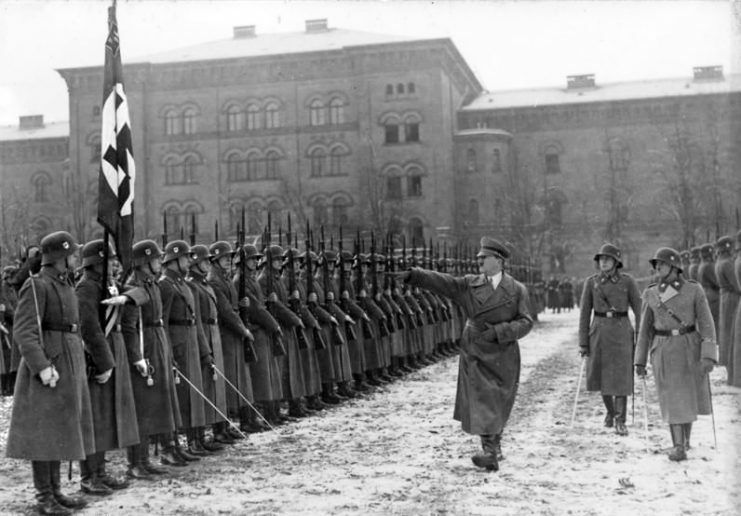 This elite division grew from its original beginnings as Adolf Hitler’s personal bodyguard unit. By the time of the invasion of Poland in 1939, the LSSAH was of regimental size with five battalions plus some sub-units. The regiment was fully mechanized for the invasion of France and had a battery of armored assault guns incorporated into the formation. 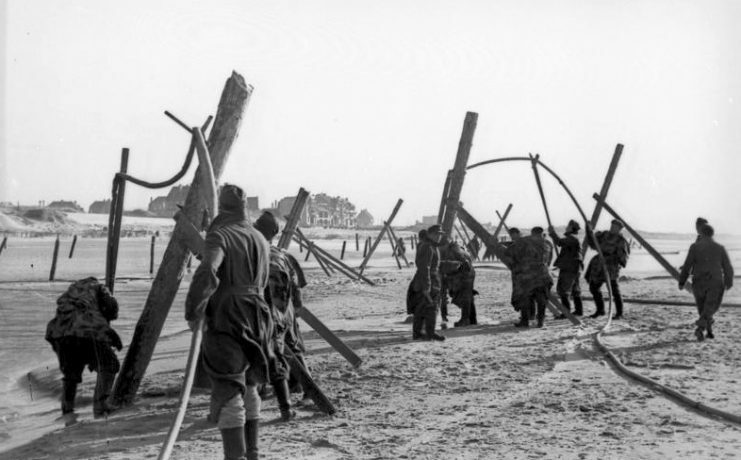 It was deployed on the outskirts of Dunkirk during the evacuation of British forces. By the time of the D-day landings, the 1st SS Panzer was a fully armored division. It had been battle-tested in Greece, many campaigns on the Eastern Front, and in Italy. It was stationed north of the Seine River as a reaction force for the suspected invasion at Calais and didn’t immediately deploy in early June. However, by late June, nearly all of the division was in action against mostly British and Canadian forces near Caen. The Allied forces had a number of operations designed to seize Caen including Operations Windsor, Goodwood, and Spring. The 1st SS Panzer took part in opposing each of these assaults. During one action, in particular, elements of the LSSAH that included 13 Panther tanks engaged approximately five dozen British tanks and destroyed 20 of them while taking prisoners. In August, LSSAH took part in Operation Luttich, which was a German offensive against U.S. forces. 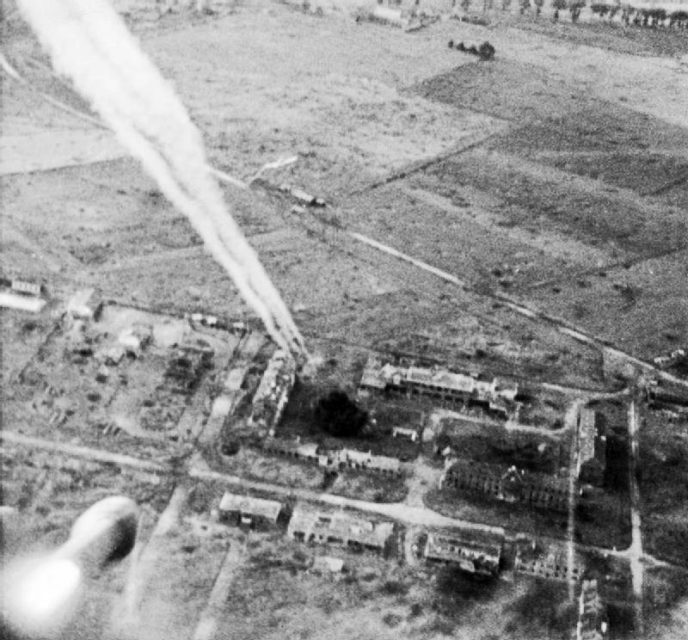 Part of the operation was initially successful and captured the town of Mortain, but it was halted by Allied guns and aircraft before being thrown back. Eventually, the 1st SS Panzer Division was caught in the Falaise Pocket encirclement by Canadian, Polish, and U.S. forces. 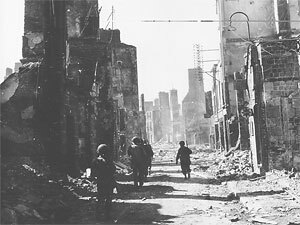 Some men of the division were able to fight their way out of the pocket, but all of the division’s tanks and vehicles were abandoned or destroyed. Remnants of the LSSAH would go on to fight in the Ardennes campaign, the defense of Vienna, and the Battle of Berlin. 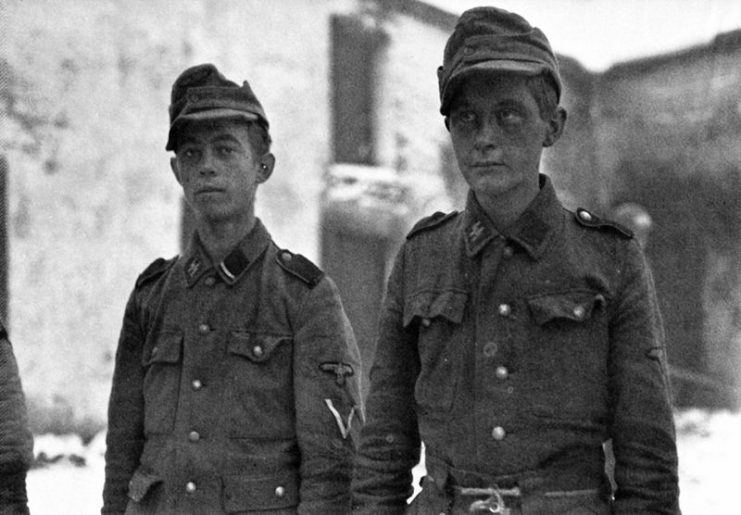 The Hitler Youth Division was originally formed in 1943 with the majority of its enlisted men appropriately coming directly from Hitler Youth members born in 1926. However, 2,000 men and officers were transferred from the 1st SS Panzer Division – LSSAH – to organize, train, and lead this division. The unit conducted its training in Belgium and became active in 1944 when it was assigned to the 1st SS Panzer Corps with over 150 tanks. It would see its first action on June 7th in Caen against the British and Canadian forces. Perhaps the unit’s most significant activities were its war crimes committed against civilians and captured Allied soldiers. Before ever seeing action, members of the unit executed over 80 civilians in Ascq as a reprisal for a destroyed railway. Later, soldiers from the same unit would execute Canadian prisoners of war at Ardenne Abbey on June 7th, 1944. Upon their arrival at Caen, the Hitlerjugend took up positions northwest of the city and engaged in a slugfest against the British and Canadian forces. This went on for two months until the city fell to the Allies. Though the 12th SS engaged in what was described as ferocious fighting often including hand-to-hand encounters, the unit was not well regarded for its combat efficiency or effectiveness. From an organizational standpoint, equipment and tanks were often delayed because of supply issues. Poor execution of orders and a lack of tactical awareness were common causes for failed attacks. Eventually, the wrecked division retreated from France in September 1944, having suffered casualties of 80% as well as losses amounting to 75% of its tanks and armored vehicles, and over half of its transportation assets. 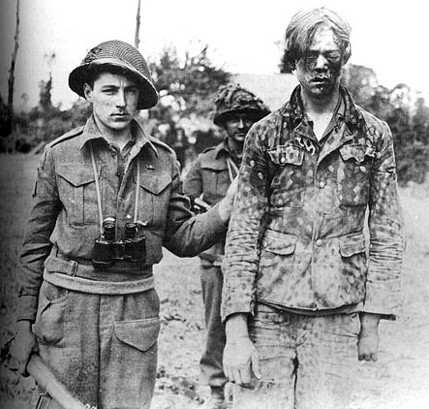 A captured Panzergrenadier of the Hitlerjugend taken by a Canadian Intelligence Unit during the fighting for Caen. The division would be regrouped to take part in the failed Ardennes offensive where it would suffer extreme losses in both men and equipment. After that, the unit was left with only two dozen tanks and armored vehicles. It finished the war fighting the Soviets in Hungary. After successive defeats, it made its way to Austria to surrender to the U.S. 65th Infantry Division in early May 1945.